We are spending the weekend in London this weekend to celebrate my 30th birthday. Birthdays in our house are always a time to tick something off from our bucket list. 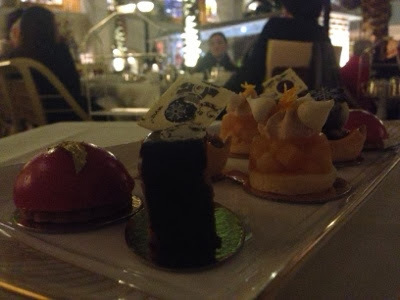 We have already enjoyed Afternoon tea at the Ritz (which still remains my number one choice!) 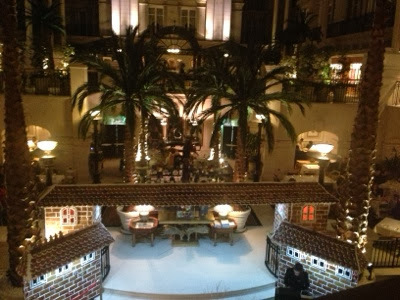 but ever since I stumbled across a picture of the Winter Garden's at The Landmark Hotel I knew that this place was on my list and somewhere I must visit! Our first impressions of this hotel were that it did not seem as 'five star' as other five star hotels in London - no doorman to greet you, no dress code (people walking around in jogging suits) and no offer to take your coat. Ignoring all of these minor details though, the setting was stunning. 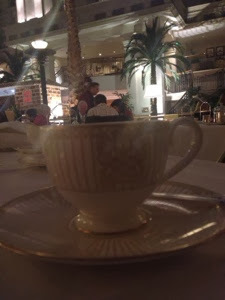 The ambience was perfect with somebody playing Christmas songs on the piano and the staff were friendly and attentive. In December you can opt for the Chololate Afternoon tea or the Festive Afternoon tea (both £50 inc champagne). We opted for the Festive. We were offered a selection of delicious sandwiches (chicken and thyme was my favourite) and once our plates had been cleared somebody was soon over to offer us replenishments. When we'd had our fill, our sandwiches were replaced with lovely warmed scones which were served with lovely pots of clotted cream, homemade lemon curd and strawberry jam. They were lovely! We were asked if we would like some more when we'd finished but declined as we wanted to ensure we had room for the gorgeous festive pastries. 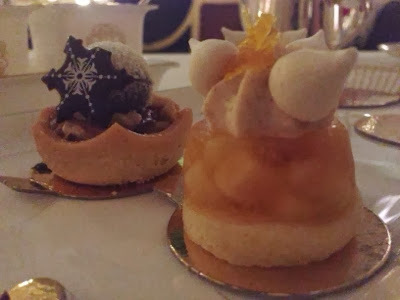 The festive pastries arrived and were simply stunning. 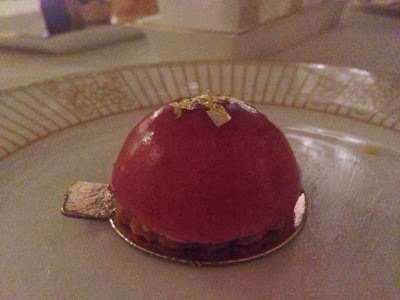 My husband loved the pecan pie and homemade truffle while I preferred the apple and cider jelly. 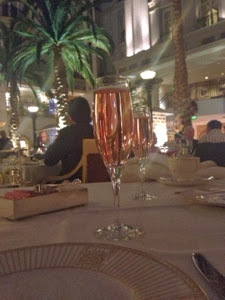 Afternoon tea at The landmark was lovely and we had a great time. 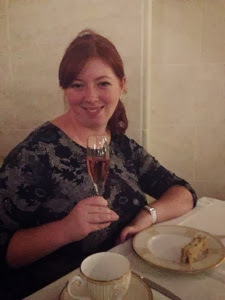 I am pleased I have been, however if I was going to spend £50 on afternoon tea again I would probably return to The Ritz as the whole experience just feels a lot more special there. 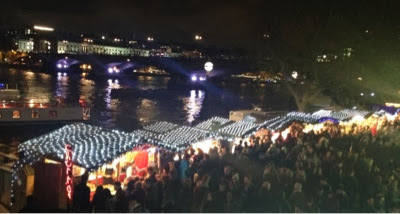 After our Afternoon tea, we caught the tube to Waterloo station to sample the Winter Festival at The Southbank. I paid the markets a visit last year when on a midweek break and I have to say it is much less crowded midweek than at a weekend. London by night is absolutely stunning and there were plenty of wonderful photo opportunities as we strolled the banks of the Thames. As mentioned, it was very crowded and I would not recommend visiting at a weekend with little children. 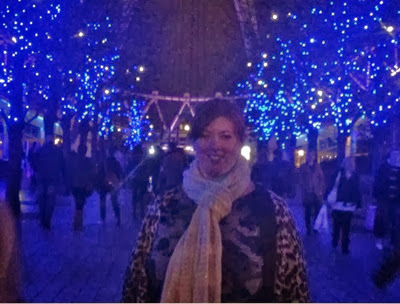 I thoroughly enjoyed walking along admiring the various wooden huts and listening to the Christmas music. I find these days that all Christmas markets tend to sell the same sort of thing - wreaths, gingerbread houses and wooden decorations were a common theme. If we hadn't have eaten there were lots of lovely street food stalls to sample. The smell from the ostrich burger hut and the Wahaca Mexican Street food van were particularly tempting! 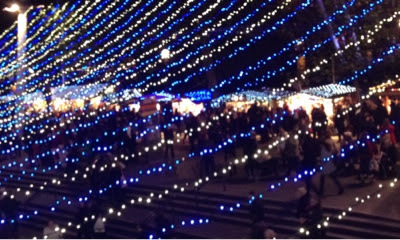 We bought some mulled wine (£4.50 per cup) and took refuge upstairs just outside the southbank centre. There are lots of tables and chairs here so an ideal place to take in the ambience and view whilst avoiding the crowds. There were lots of pockets of entertainment around this area - we loved the Christmas trees with push bikes around them and when you peddled the tree's lights illuminated. There is also a skate park, ice rink, carousel ride, numerous boat trips and of course the London eye. 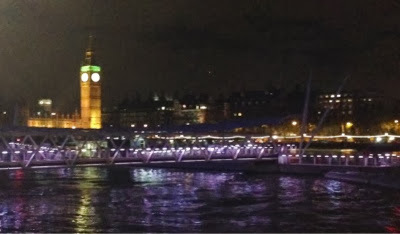 You are spoilt for choice for bars and restaurants in this area so it is a lovely part of London to visit at night. Really pleased we did!